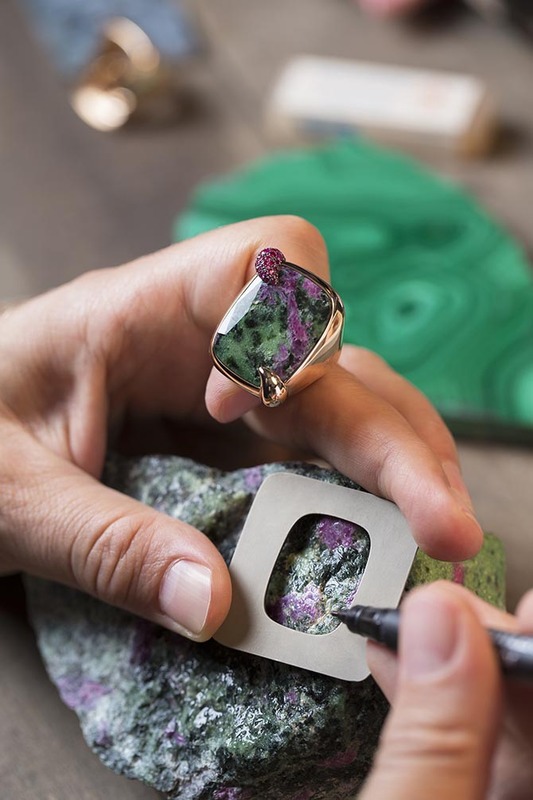 In the midst of the Spring 2018 Fashion Week in Milan, Pomellato celebrated its 50th anniversary with the launch of a bold collection of 50 one-of-a kind rings and pendants. The designs reflect the independent spirit the Italian jeweler has maintained from the beginning. In 1967, the year Pomellato was founded, the world was flux. A new fight for women’s rights was just beginning to get underway in America with acts of defiance like Kathrine Switzer’s run of the Boston Marathon that was officially closed to women. The arts mirrored the tension between the establishment and the younger generation. The Beatles released Sgt. Pepper’s Lonely Hearts Club Band, a counterculture concept album that went straight to the top of the charts. Popular films, The Graduate and Bonnie and Clyde, reflected the restless youth. 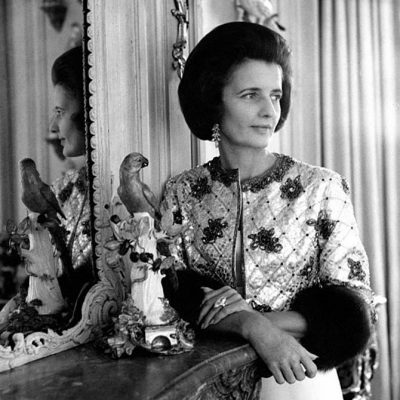 In fashion, designers started making clothes for independent self-sufficient single working women. The vast majority of fine jewelry brands, however, were slow to adapt. They continued to create formal pieces without collections fit for working women’s new roles. It was in this environment that Pomellato’s founder, Pino Rabolini, the son of a Milanese goldsmith decided he was going to make his artistic contribution with the equivalent of ready-to-wear clothes in gold jewelry. It was truly a progressive idea at the time. “We were born with a totally new generation of women that understood they could be liberated from somehow bourgeois ideas of how they should dress or that you were inheriting your jewelry and it was to be kept in a safe,” explains Pomellato’s CEO Sabina Belli. The name Pomellato, which literally translates to mean dappled horse, was inspired by Pino’s passion for horses. Using a name other than his own, also reflected Pino’s private nature and the behind-the-scenes position he took with the company. 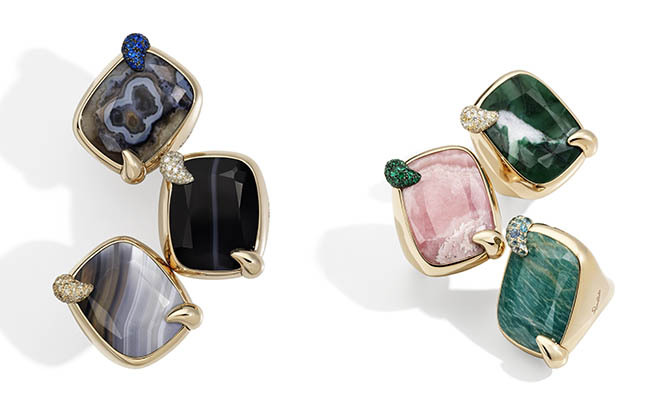 Pomellato jewelry instantly filled a gap in the marketplace and rapidly became known for its bold twists on gold jewelry classics. 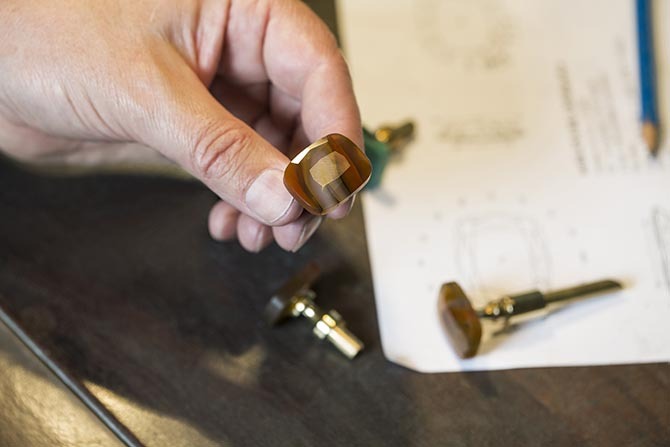 Over time Pomellato took the gold collections a step further by creating its own unique gold alloys. In the 1990s, an array of colorful gems were introduced into the collection. 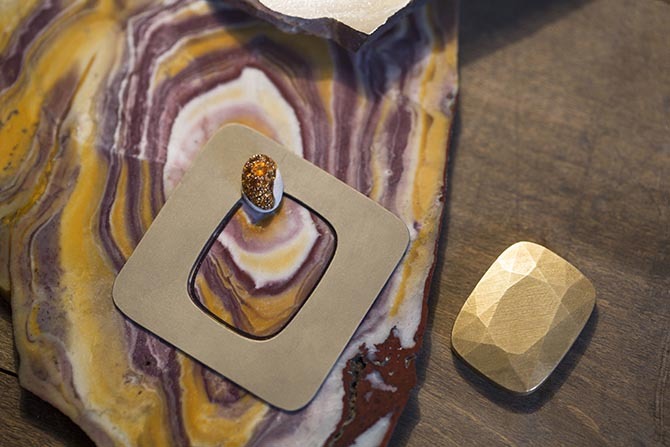 The pieces maintained the elegant everyday style and Pomellato made them proprietary by introducing unique gem cuts such as the Nudo, a deep rectangular rounded square with 57 artistically shaped facets on the table. 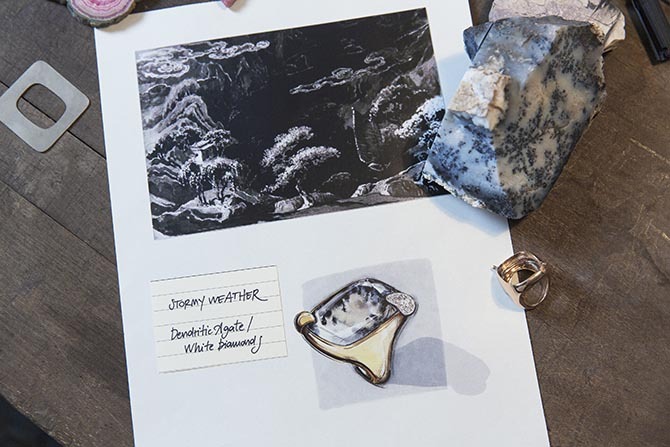 The collection began over a year ago when Pomellato’s creative director Vincenzo Castaldo realized, while the firm’s history was filled with colorful gems, there were virtually no hardstones. They were all transparent. 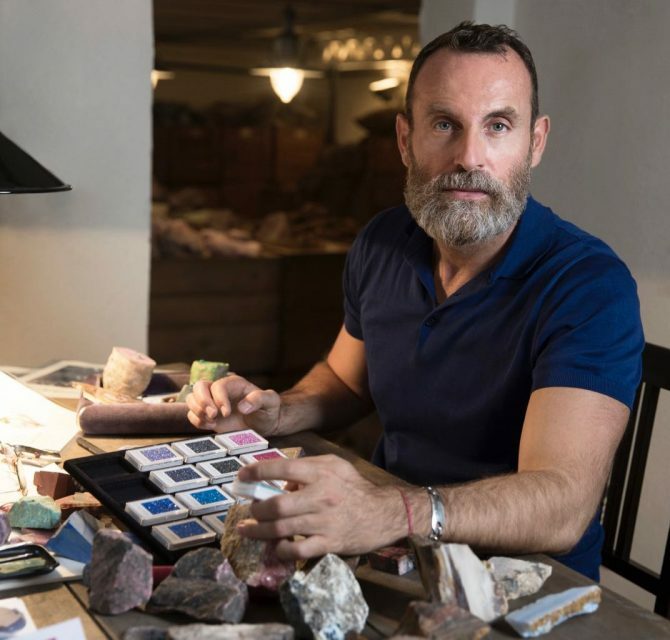 He took a trip to the Opicifio delle Pietre Dure in Florence, a museum of gems, where he could get an overview of an abundance of hardstones in the Renaissance collection many of which were assembled by Cosimo de’ Medici. 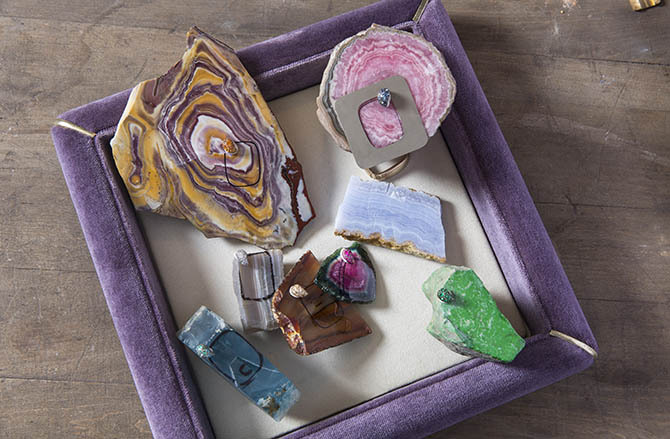 Then he headed to Idar-Oberstein, Germany—the gem capital of the world for gem carvers and colored stones—to resource 50 hardstones that would form the collection. During the year long process, Vincenzo and his creative team put together inspiration boards expressing the style of the stones in nature. They also gave each slice of gem a poetic name. “The names drove us to the final destination,” explains Vincenzo. They captured a mood in words the designer was working to find in the qualities of the gems. 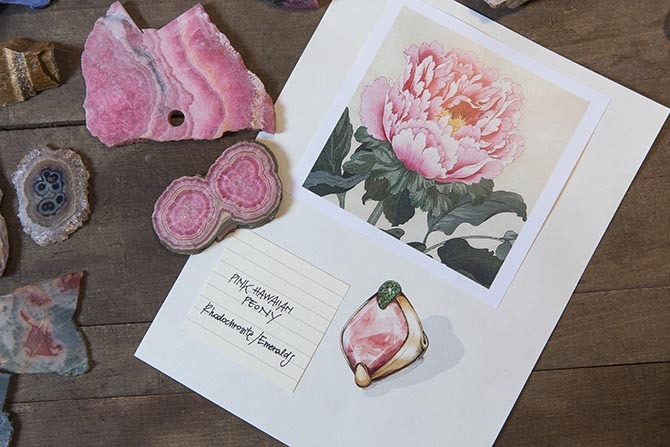 The rhodochrosite, for example, was named the Pink Hawaiian Peony. The moody dendritic agate was dubbed Stormy Weather. 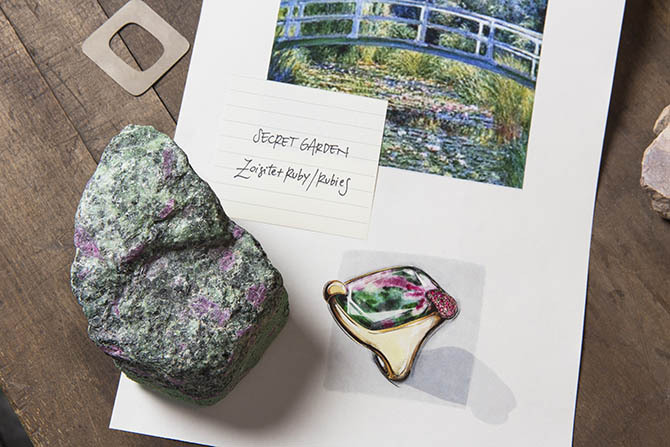 The magical ruby zoisite was christened the Secret Garden. 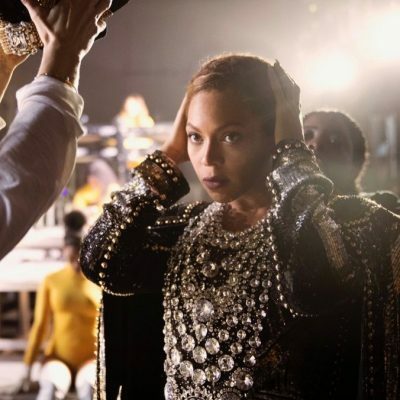 The final stage of production for the Anniversary collection was for the stones to be set in the Ritratto rings and pendants at the Casa Pomellato in Milan. The extraordinary complex houses a state-of-the-art workshop of 100 goldsmiths. One of them, a master craftsmen, produced all 50 of the jewels in the collection. 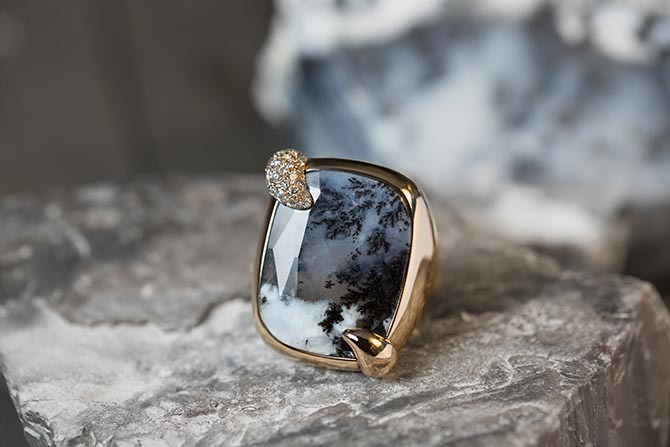 “My aim with the Anniversary Collection was to demonstrate Pomellato’s savoir faire, manufacturing excellence and creating emotion,” explains Sabini. 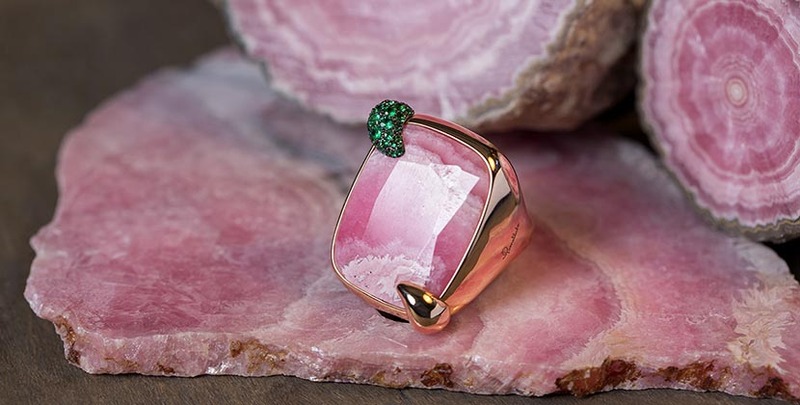 “Pomellato is self confident enough as a brand, very different from Place Vendôme or Roman jewelry, to talk about jewelry in a different language.” Just one look at the artistic gems in the bold and beautiful jewels reveals Pomellato’s mission was accomplished. The Italian design house still clearly speaks the language of independent women and liberated style.